Enter a person's name to see if they're on Leaksville.com yet! 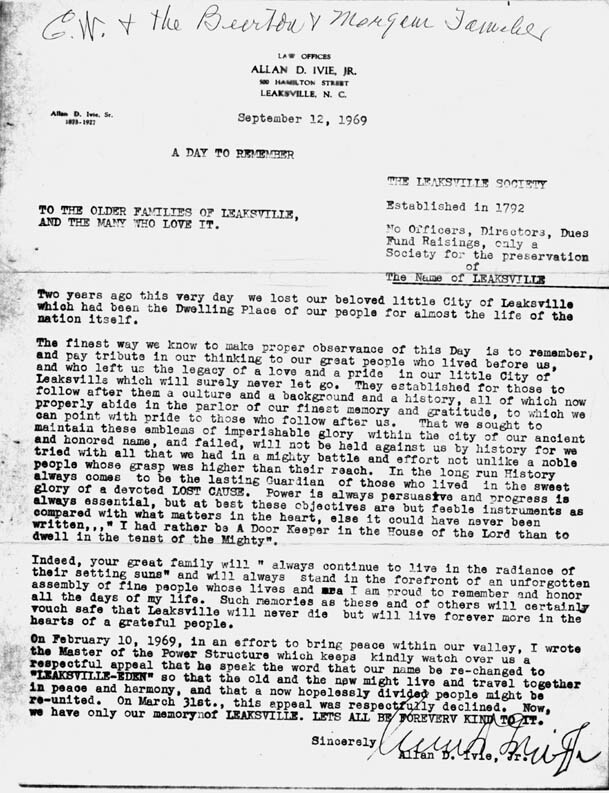 "Now, we have only our memory of Leaksville. Let's all be forever kind to it." 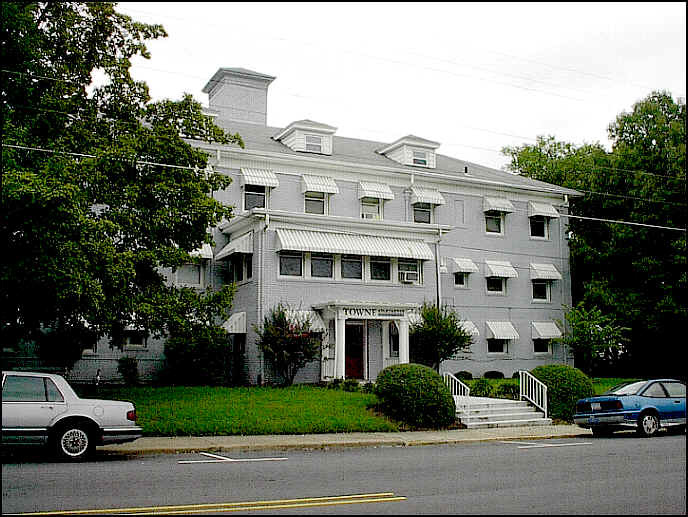 In 1924, Madison, NC physician Dr. H. Carlyle Dixon and Leaksville physicians, Dr. C. V. Tyner and Dr. Kenan Casteen, saw a need for a hospital in the Tri-City area. With a $7,500 gift from Marshall Field and Company, a new 24-bed facility was opened. An additional $7,500 was lent to the doctors for the operation of the hospital. The hospital, owned and operated by Drs. Dixon (who moved his practice to Leaksville), Tyner, and Casteen, provided 24-hour nursing care. Most of these nurses were trained at the hospital's school of nursing. As the responsibilities of hospital management increased over the years, Drs. Tyner, and Casteen felt it could be better administered with the participation and interest of the community (Note: Dr. Dixon passed away in 1935). 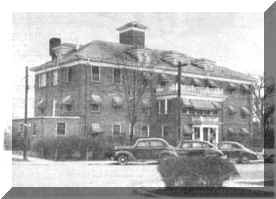 Thus, in 1953, Tri-City Hospital became a publicly owned community hospital. Marshall Field and Company donated $50,000 for the community's part of the purchase. It was the last gift given by Marshall Field before it became Fieldcrest Mills, Inc.